GOD HAS NOW BEEN REINTRODUCED IN AMERICAN T.V. TODAY, BUT IT IS NOT THE GOD OF THE BIBLE, BUT THE GOD OF FREEMASONRY!! - Christian Updates - New World Order. GOD HAS NOW BEEN REINTRODUCED IN AMERICAN T.V. TODAY, BUT IT IS NOT THE GOD OF THE BIBLE; IT IS THE GOD OF FREEMASONRY!! In this article, we discuss what Freemasonry teaches about God, so you can see that the God in these TV shows is the Freemason "god of forces" not the God of the Bible. then, we shall focus on Biblical teaching about the True God. NEWS BRIEF: "God and Television", TV Guide, March 29-April 4, 1997, Vol. 45, No. 13, Issue #2296, Pages 24-45. We have repeatedly stated that the 'God' in these TV shows is the typical Freemason 'god of forces'. We see no mention of God's Judgment for sin, or of sin, or of His Son Jesus Christ. We hear no mention that people are headed for Hell unless they turn to Jesus Christ for forgiveness of sin. In fact, Hell is hardly ever mentioned at all! We see only a God that wants people to do good works, typified by the show, 'Touched By An Angel'. Finally, since we hear only of "God" we can conclude that the God of these TV shows is the only True, One Deity. This is the "God" of these TV shows, identical with the "God" of Freemasonry. To demonstrate this fact, we will quote from Freemason sources, so you can hear it from them, "in their own words". As we discuss these Freemason quotes, we will intersperse our comments and Biblical teaching on that particular subject, so that you can get the Truth in context. Then, we shall focus on Biblical teaching in our last segment. We will compare the Masonic teachings from Freemason authors with what the Holy Bible teaches. God has repeatedly taught that we must weigh what someone is telling us against the clear teachings of the Bible. The Apostle John, writing under the direction of the Holy Spirit, warned us in 1 John 4:1, "Beloved, believe not every spirit, but try the spirits whether they are of God: because many false prophets are gone out into the world." It seems pretty clear that Freemasonry teaches that God is One. Wouldn't you agree? Freemasons constantly point out that no man can become a Mason unless he ascribes to the belief in God, or Supreme Being. Based upon this claim, Masons contend that their teachings are compatible with the Bible, with Christianity. Nothing could be further from the Truth!! Now, let us apply James' statement to our current discussion about Freemasonry: "You, Freemason, believe that there is one God; you do well, but the devils also believe and tremble, so their faith in the one god does not save them." Why? Because the coming of Jesus Christ, and His establishment of His Second Covenant, changed everything. Now, a belief in One God, by itself, does not save you. Coequal with God the Father, and sitting at His right hand in glory (Matthew 22:44; 26:64; Mark 16:19; Luke 20:42-43; Acts 2:33-36; 5:31-32; Romans 8:34-39; Ephesians 1:20-22; Colossians 3:1; Hebrews 1:1-14, quoting Psalm 2:7, where God the Father address His Son as God; 1 Peter 3:22) The New Testament of our Bible thus clearly and consistently states this Truth, that Jesus Christ is God, and that all authority has been given to Him, including the authority for Final Judgment. So there you have the Truth about Freemasonry teachings: God is a "force". Not a Person but a "force". Seeker of Truth, contemplate this very, very carefully, because, once again, we are given tremendous insight into the heart of Freemasonry. Turn in your Bible to Daniel 11:37-38, where God is telling Daniel some of the characteristics of the Antichrist, "Neither shall he regard the God of his fathers ... nor regard any god: for he shall magnify himself above all. But in his estate shall he honour the God of forces: and a god whom his fathers knew not shall he honour.."
The Antichrist shall honour the God of forces -- not the Personal God of the Hebrew Bible -- but a strange god, the God of forces. Again, Freemasonry fulfills another definition of Antichrist. Well did Jesus speak of this world at the End of the Age, when He stated, repeatedly, that unparalleled deception would be THE Hallmark Characteristic of this time. In Matthew 24, where Jesus is giving His disciples the many signs that would herald the End of the Age, He warned three times against unparalleled deception. He warned in verses 4, 11, and 24, concluding with the warning in verse 24, "For there shall arise false Christs, and false prophets, and shall show great signs and wonders; insomuch that, if it were possible, they shall deceive the very elect." Unparalleled deception. Freemasonry is the most powerful of the organizations that are engaging in deception historically unparalleled. Do not be deceived any more. Do not be the type of person God described in Isaiah 30:10b-11, "Speak to us smooth things, prophesy deceitful illusions. 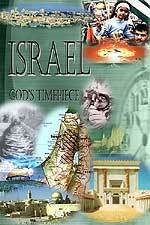 Get out of the true way ... cease holding up before us the Holy One of Israel". This is exactly what Freemasonry does; it holds up a different God to worship, a God that is a force only, and a force of love only. Masonry does not hold up the True Holy One of Israel; and, it does speak "smooth things, deceitful illusions", because it denies that God can ever get angry (Page 718, 28 Degree Teaching), which means that there is no judgment! How wonderful! Except that it simply is not true. So, if Freemasonry does not teach the God of the Holy Bible, Who is the God of whom they speak so clearly and so often? After all, no man can become a Freemason unless he professes belief in a Supreme Being, Whom they call God! As an aside, can you see the belief in Aliens and UFO's in this statement? Freemasons would be prime candidates to propagate this belief, because they teach it within their organization! All the Ancient Mysteries believed in many gods and goddesses, a system of religion we call Polytheism. Each nation was conceived as having its own set of such gods, including a supreme god for that nation. When one nation in antiquity conquered another, the ancients viewed it as a triumph of one national god over another. Likewise, Masonry teaches many gods. The God of the Bible, the God of the Jews, is seen as their national god, that is all; and, the Hebrew God had a negative counterpart, Satan, as we quoted above. This Hebrew God is seen as a particularly nasty god, for, whenever He had the upper hand, He ordered the wholesale slaughter of entire villages and nations, man, woman, child, and animal. To the contrary, Lucifer is seen as the god of good, since he never slaughtered anyone in the Bible! We are constantly getting emails to this effect, from New Agers particularly. Do not be deceived: Masonry sees the God of the Holy Bible as nothing more than the Hebrew national god. Pike quite clearly states this teaching, on Page 558, of "Morals and Dogma": "The mass of the Jews, they held, recognized not the angel, by whom, in all the Theophanies of the Old Testament, God revealed Himself; they knew not the Demiurge in his true relation to the hidden Supreme God, who never reveals Himself in the sensible world. They confounded the type and the archetype, the symbol and the idea. They rose no higher than the Demiurge; they took him to be the Supreme God Himself. But the spiritual men among them, on the contrary, clearly perceived or at least divined, the ideas veiled under Judaism; they rose beyond the Demiurge to a knowledge of the Supreme God, and are therefore properly His worshippers." So, the poor Jews thought their God was the Supreme God, Who created all things; but the "spiritual" Freemason understands that the Supreme God of the Universe stands far away and above the poor Hebrew national God. This Supreme God is incapable of anger (Page 718), and is all loving (Page 717-718, 28th Degree). In fact, the Supreme God and Architect of the Universe seems to be the God Immanent of Hinduism, where He diffused Himself in all His creation, after He created. Thus, God is in all things, and in every human. We are all Divine, with some people further along the Path of Enlightenment than others. To finalize this study of God, let us go to one of Freemasonry's more controversial teachings about the God Whom they do serve. Albert Pike states on Page 321, 26th Degree teaching, "Lucifer, the Light Bearer! Strange and mysterious name to give to the Spirit of Darkness. Lucifer, the Son of the Morning! Is it he who bears the light, and with its splendors intolerable, blinds feeble, selfish Souls? Doubt it not!" Then, on Page 567, Pike again refers to Lucifer as "Angel of Light". Freemasons teach that Satan and Lucifer are not the same being. No, Satan is the evil God, the negation of Yahveh, while Lucifer is the good, wonderful "Light Bearer", the One Whom Freemasonry truly worships. I count three (3) gods here, don't you? Freemasonry teaches the standard New Age, New World Order, Antichrist religion of many gods, polytheism. On July 14, 1889, Albert Pike issued instructions to the 23 Supreme [Masonic] Councils of the world, recorded by A.C. De La Rive in his book, "La Femme et l'Enfant dans la Franc-Maconnerie Universelle (Page 588), "That which we must say to the crowd is -'We worship a God, but it is the God that one adores without superstition'." (This is the God of the Bible) "[But] To you, Sovereign Grand Inspector's General, we say this, that you may repeat it to the Brethren of the 32nd, 31st, and 30th degrees -- the Masonic religion should be, by all of us initiates of the high degrees, maintained in the purity of the Luciferic doctrine." 2. Their teachings about many gods are precisely the same as the Luciferian Mysteries religions, all of which the Bible condemns, and whom God physically destroyed because they were practicing these religions. 3. Albert Pike teaches that Freemasons of the 30-32 Degrees are to be told that Lucifer is the one whom they serve. And, Pike speaks of Lucifer twice in his "Morals and Dogma", both times as the Angel of Light whom they serve. 4. Satanist Anton LaVey confirms that Satanic ritual and Masonic ritual are identical. 5. We have shown you two instances where the teachings of Freemasonry exactly fulfill the Biblical definition of the "forces of the Antichrist". This concludes our segment showing that the 'God' being propagated in TV shows and movies is the god of Freemasonry, not the God of the Bible. To avoid confusion, we would recommend that Christian parents not allow their impressionable young children to even view these shows. You run the risk of planting confusion and doubt in their minds. Just as the Federal Treasury trains its currency experts only by showing them the true, genuine bills, so you need to train your children only in the Truth of Scripture. They have a lifetime of learning about the evils of this world. You can hold up to them the deceptions as we have discussed, so they know the evil that is in the world today. But, do not allow them hours and hours in front of your TV, soaking in all this idolatrous poison. Now that we have seen what Freemasonry teaches about God, let us focus on what the Bible has to say about God, Salvation, and Judgment -- the three most important subjects anyone will ever face in their life. "Gen 1:1 In the beginning God created the heaven and the earth." "Psalm 76:7-9 Thou, even thou, art to be feared: and who may stand in thy sight when once thou art angry? Thou didst cause judgment to be heard from heaven; the earth feared, and was still, When God arose to judgment, to save all the meek of the earth." "Ecclesiastes 11:9b know thou, that for all these things God will bring thee into judgment." "Ecclesiastes 12:14 For God shall bring every work into judgment, with every secret thing, whether it be good, or whether it be evil." "Romans 2:2-3 we are sure that the judgment of God is according to truth against them which commit such things. And thinkest thou this, O man, that judgest them which do such things, and doest the same, that thou shalt escape the judgment of God?" "1 Peter 4:17 For the time is come that judgment must begin at the house of God: and if it first begin at us, what shall the end be of them that obey not the gospel of God?" "Exodus 15:2 The LORD is my strength and song, and he is become my salvation: he is my God, and I will prepare him an habitation; my father's God, and I will exalt him." "2 Samuel 22:3 The God of my rock; in him will I trust: he is my shield, and the horn of my salvation, my high tower, and my refuge, my saviour; thou savest me from violence." "Psalm 18:2 The LORD is my rock, and my fortress, and my deliverer; my God, my strength, in whom I will trust; my buckler, and the horn of my salvation, and my high tower." Now that we have demonstrated this truth, that God exists, that He will judge men and women for their obedience and will save them only if they are in right standing with Him, we need to ask the next question. Is everyone saved, and upon what basis can anyone reach out to get eternal salvation? The Bible clearly teaches that, in any era, only a small remnant of people shall be saved. Only a small proportion of the total numbers of people living shall go to Heaven. 1) "Romans 9:27 Esaias also crieth concerning Israel, Though the number of the children of Israel be as the sand of the sea, a remnant shall be saved"
2) "Romans 11:5 Even so then at this present time also there is a remnant according to the election of grace." 3) "Romans 3:23 For all have sinned, and come short of the glory of God"
4) "Matthew 20:16 So the last shall be first, and the first last: for many be called, but few chosen." 5) "Matthew 7:14 strait is the gate, and narrow is the way, which leadeth unto life, and few there be that find it." This is the God of the Bible, a God of Mercy and Grace toward them that fear Him and obey His Word, but a God of merciless Judgment toward those who reject Him and cause others to disobey or disbelieve Him. Now that we have shown the God of the Bible, is it necessary to believe in any other to be saved, or will our belief in God alone put us into right standing with God and get us into eternal Heaven? This is a right good question, is it not? For you see, when you look at the subject of God in today's American Mass Media, you see only mention of Him. You see nothing usually mentioned of God's Holy Spirit, nor of His Son, Jesus Christ. Is this omission serious, or something about which we should not concern ourselves? In all cases when you are examining a complex subject, it is always most difficult to see what is NOT present than to see what is present. Is this case, Jesus Christ is almost a non-entity in today's American culture, even though God is mentioned numerous times these days. As we answer this question, remember that all things changed when Jesus Christ carried out His ministry and died on that Cross. At that moment in world history, God abolished the First Covenant and established the Second Covenant through Jesus Christ. Let us examine a few Scriptures which show this dramatic change. 1) "Matthew 27:50-51 Jesus, when he had cried again with a loud voice, yielded up the ghost. And, behold, the veil of the temple was rent in twain from the top to the bottom" Just as the Temple was synonymous with the First Covenant, so the separating veil of the Temple. Therefore, when God's Divine power tore this veil separating the Holy of Holies from the Holy Place -- immediately after Jesus died on the cross -- God was symbolizing to the entire world that He was abolishing the First Covenant and establishing the Second Covenant. In 70 A.D., God completed the task of abolishing the last vestige of the First Covenant when He destroyed the Herodian Temple through the power of the Roman Army. 2) "Hebrews 8:7 For if that first covenant had been faultless, then should no place have been sought for the second." 3) "Hebrews 8:13 13 In that he saith, A new covenant, he hath made the first old. Now that which decayeth and waxeth old is ready to vanish away." God abolished the First Covenant, in which He alone held sway, and instituted another covenant, called the Second Covenant, in which Another held full sway. And Who is that Other? Jesus Christ!! Let us examine a few Scriptures which demonstrate this dramatic change. First, Jesus Christ claimed that He and the Father were One, even though They were separate Persons. "John 8:16-19 And yet if I judge, my judgment is true: for I am not alone, but I and the Father that sent me. It is also written in your law, that the testimony of two men is true. I am one that bear witness of myself, and the Father that sent me beareth witness of me. Then said they unto him, Where is thy Father? Jesus answered, Ye neither know me, nor my Father: if ye had known me, ye should have known my Father also." Secondly, Jesus claimed that He now was the only One to Whom men could turn to receive eternal life. 1) "John 14:6 Jesus saith unto him, I am the way, the truth, and the life: no man cometh unto the Father, but by me." 2) "John 10:9 9 I am the door: by me if any man enter in, he shall be saved" We are assured that Salvation is assured through Jesus Christ and Him alone. 18 I am he that liveth, and was dead; and, behold, I am alive for evermore, Amen; and have the keys of hell and of death." In this verse, Jesus Christ told the Apostle John that He possessed the keys of hell and of death. Notice that God the Father did not hold this key, only Jesus Christ. Finally, the Apostle James writes most succinctly, "Thou believest that there is one God; thou doest well: the devils also believe, and tremble. (James 2:19) The apostles were wrestling with this very heresy, that a person could believe in God alone and receive Salvation, so James bluntly said that even Satan's demons believe in God and shudder in anticipation of their coming Judgment. But, their belief in God the Father will not save them. So it is with anyone who believes in God the Father without believing in His Son, Jesus Christ. Freemasonry separates God the Son from God the Father, attempting to worship and exalt only God the Father. This separation is one of the tests of the coming Antichrist [1 John 2:22-23, "Who is a liar but he that denieth that Jesus is the Christ? He is antichrist, that denieth the Father and the Son. Whosoever denieth the Son, the same hath not the Father:" Freemasonry, therefore, passes the test of being of Antichrist. In many cases, you might find it difficult to discern what teaching is missing from what otherwise seems to be the Truth. But, you must attempt to realize what segment of the Truth of Scripture is missing from a pastor's repertoire of messages, for what is missing may hold the key as to whether that pastor or teacher is true or false. The greatest spiritual danger comes from someone who speaks a great deal of Biblical Truth, but also speaks falsehoods. Remember Paul's warning that it takes just a little bit of "leaven" or false teaching, to ruin the whole lump of dough. [1 Corinthians 5:6] It takes just a little bit of false teaching to ruin the entire church or movement. Too many people are willing to tolerate spiritual falsehood because they hear a lot of Truth, and they go down the road to spiritual ruin. Pastors are told to skillfully and accurately teaching the Word of God [2 Timothy :15]. Obviously, no teacher of God's Word would mix false teaching with the Truth, so when you see this occurring, you know you are witnessing a false spiritual teacher; you must walk away, without looking back, for your precious eternal soul is at stake! The very fact that such unparalleled deception is reaching new heights through our Mass Media like TV and movies, is another Sign of the Times that the End of the Age is almost here. Are you spiritually ready? Is your family? Are you adequately protecting your loved ones? This is the reason for this ministry, to enable you to first understand the peril facing you, and then help you develop strategies to warn and protect your loved ones. Once you have been thoroughly trained, you can also use your knowledge as a means to open the door of discussion with an unsaved person. I have been able to use it many times, and have seen people come to Jesus Christ as a result. These perilous times are also a time when we can reach many souls for Jesus Christ, making an eternal difference. If you have never accepted Jesus Christ as Savior, but have come to realize His reality and the approaching End of the Age, and want to accept His FREE Gift of Eternal Life, you can also do so now, in the privacy of your home. Once you accept Him as Savior, you are spiritually Born Again, and are as assured of Heaven as if you were already there. Then, you can rest assured that the Kingdom of Antichrist will not touch you spiritually. If you would like to become Born Again, turn to our Salvation Page now. We hope you have been blessed by this ministry, which seeks to educate and warn people, so that they can see the coming New World Order -- Kingdom of Antichrist -- in their daily news.